Agreed, India’s internet penetration is not that great but is it that low to say .co.in is an invalid TLD? Will Hindi domain names increase the usage of internet in India? 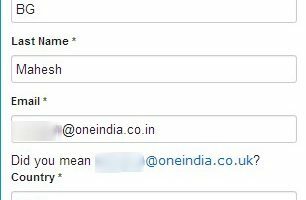 For a while the discussion about domain names in Indian language has been going on. India is about to get its own internationalized domain names (IDNs). China and Russia have their own IDNs for a while now. Today’s Mint reports domain names in regional languages will be released soon. There has been talk about this for a while now, it would be interesting to see how the usage of language domainnames will pick up in India.